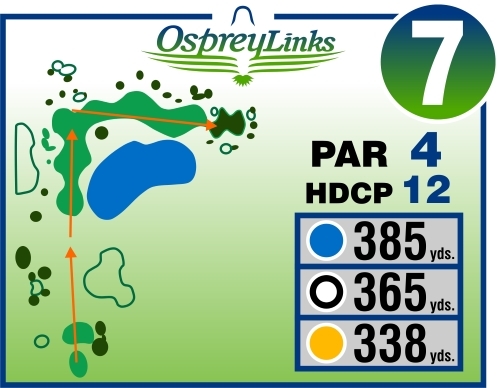 The Seventh Hole is a 90 degree dog leg right. The green is not reachable from the tee so but a driver or well struck fairway wood sets up a short iron or wedge for your second shot. But pay attention to where the flag is situated, as this large tiered green demands accuracy for the second shot. Putting from the wrong level renders an easy 3 putt and being above the hole is also a recipe for disaster.